Consolidation in the healthcare industry has reached such a pace that the number of health systems in the United States is on track for a 50% reduction over the next decade, making change management a high priority. 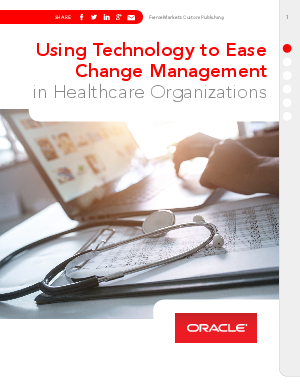 In the healthcare world, where employee engagement can directly affect the quality of patient care, it’s important for organizations to have a solid change management strategy that allows for a smooth transition, communicates expected benefits and gets employees on board with change. Learn more.